If there’s one thing all households have in common, it’s a seemingly endless pile of dirty clothes. Whilst doing the washing is a chore few of us look forward to, having the best rotary washing line for the job can make this task much easier. Rotary washing lines enable you to save space and money, as well as dry your clothes much quicker than they would if you hung them up around your home. But, with such a variety of choices on the market, how do you decide which rotary dryer is best for you and your lifestyle? Don’t worry, we have done the hard work for you. Below is our roundup our rotary washing line reviews, so you can pick the right model for your needs! 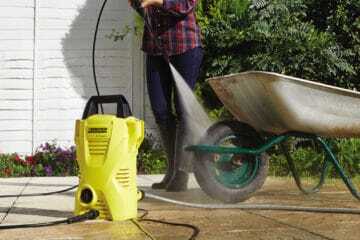 What Are The Benefits Of Using A Rotary Washing Line? If you’re looking for a rotary clothes dryer which is suitable for a large family, the Lift-O-Matic from Brabantia could be the best choice for you. This rotary airer offers an impressive 50 metres of line, which should be enough to hold four loads of washing – particularly convenient if you have a busy schedule and tend to do most of your washing in one day. The clever Lift-O-Matic system helps you to quickly adjust the working height from around 4 ft to a little over 6 ft, so no matter how tall you are, you should be able to peg out your washing out in comfort. If you often wash delicate items, you can easily dry these on coat hangers thanks to the included hanger holes on the tip of each arm. Once it is fully loaded, you won’t need to wait for a strong gust of wind to move this rotary airer. A gentle breeze will be enough to set it smoothly spinning, ensuring your washing is dried in the quickest time possible. The lines remain consistently taut, preventing your washing from drooping and slipping, while the UV-resistant coating keeps them protected from sun damage. That said, it’s easy to store the Brabantia Lift-O-Matic if you won’t be using it for a few rainy days. The umbrella section simply folds up and can be kept inside the included weatherproof cover until brighter skies return. Should you want to pack it away entirely, all you need to do is lift it up and out of the base and relocate to the shed or another storage area. The design is lightweight and easy to carry, and a useful hanging loop enables you to secure it to the wall if you wish. However, even though it is easy to use and store, there are a few downsides to this product. 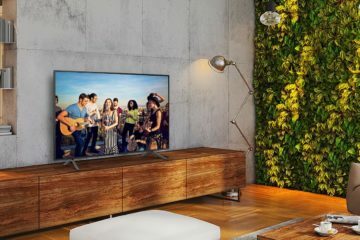 Installation can be quite difficult, with many people complaining it took them longer than expected to get set up. The height adjustment mechanism feels a little flimsy and the edges of the arms can be rather sharp if you’re not careful. If a heavy duty rotary airer is what you need, this 40 metre, 4-arm Topspinner Clothes Dryer by Brabantia is our top pick. Versatile and sturdy, this rotary drier easily handles heavy loads while remaining compact and simple to use. 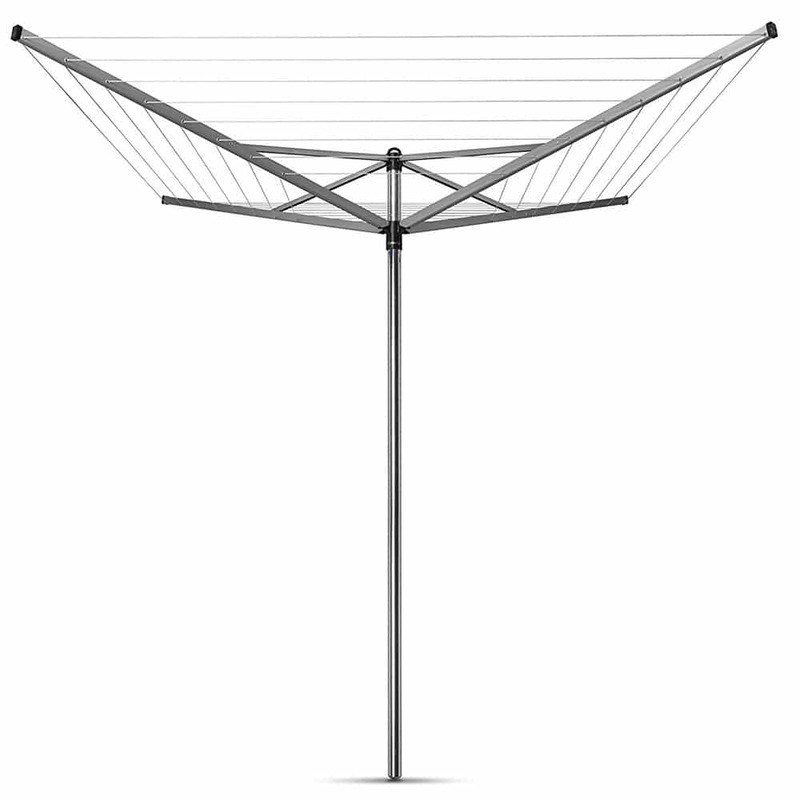 Offering three choices of line height positions, this heavy duty rotary washing line stays taut no matter how wet your washing is. In fact, so long as it is distributed evenly, you can load up to an incredible 40 kg of weight onto it. 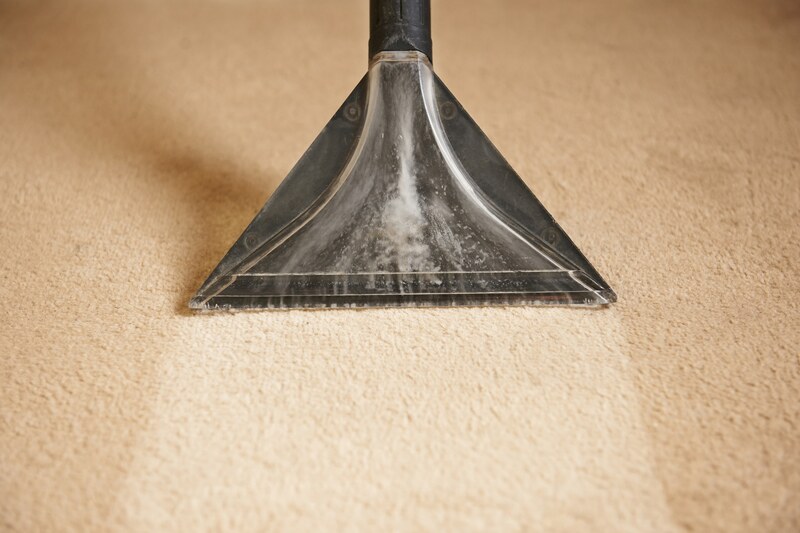 This is great if you regularly wash large or thick pieces such as duvets, which can become very heavy when soaked. Whether this product is carrying its full weight capacity or not, it will still spin around in a light breeze. This allows you to effortlessly dry even your bulkiest items outside on a nice day. Each arm also has a dedicated hole for clothes hangers, so your more fragile items can be dried crease-free. Installing the Brabantia Topspinner is made easier thanks to the included 45mm metal ground spike. 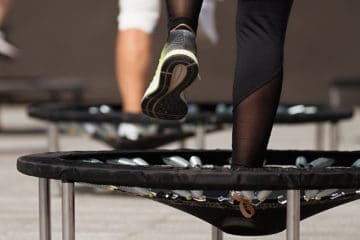 This spike allows you to securely embed the post into the ground without having to use any concrete, but a few users said it still wobbled slightly. If you wish to store the dryer away for the winter, you can simply lift the post out, fold up the umbrella and use the hanging loop to save space by affixing it to the wall. If you have a family-sized washing load, but only have a limited outdoor area, Premium Quality may be the best choice. 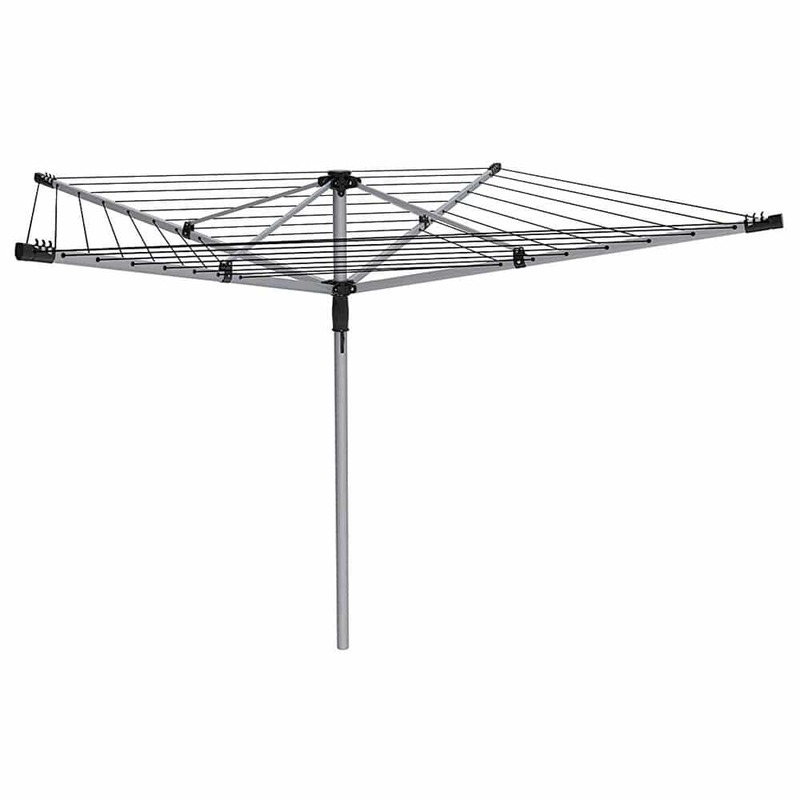 Featuring 40m of line, 4 strong arms and a turning circle of only 2.5m, this rotary clothes dryer is great if you have a smaller garden. 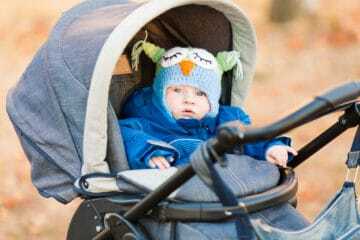 Its sturdy frame is made from solid steel and the pole is 4 cm thick – so it should stand up well against strong winds and heavy washing. Even so, the rotary mechanism is smooth and responds to gentle winds even when fully loaded. The polyester line has a choice of 4 tensions and is also PVC coated to keep it protected from the elements. The umbrella style locking system is simple in theory but many users struggled to get it to lock open. 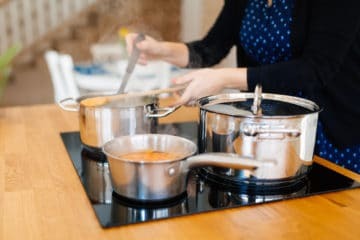 Furthermore, once opened, it often gets stuck in this position – so it may not be suitable for older or frailer individuals. 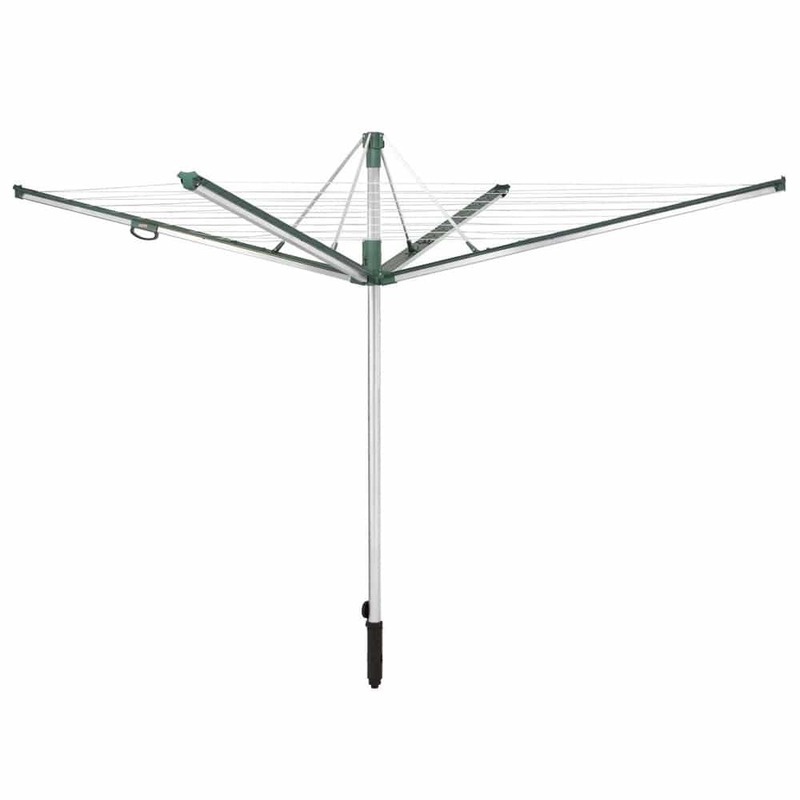 This 4 arm rotary washing line comes complete with a weatherproof cover and a ground spike for convenient setup. Whilst the cover is a nice addition, customers didn’t find it to be particularly durable. Therefore, you may find yourself having to purchase another one fairly soon. 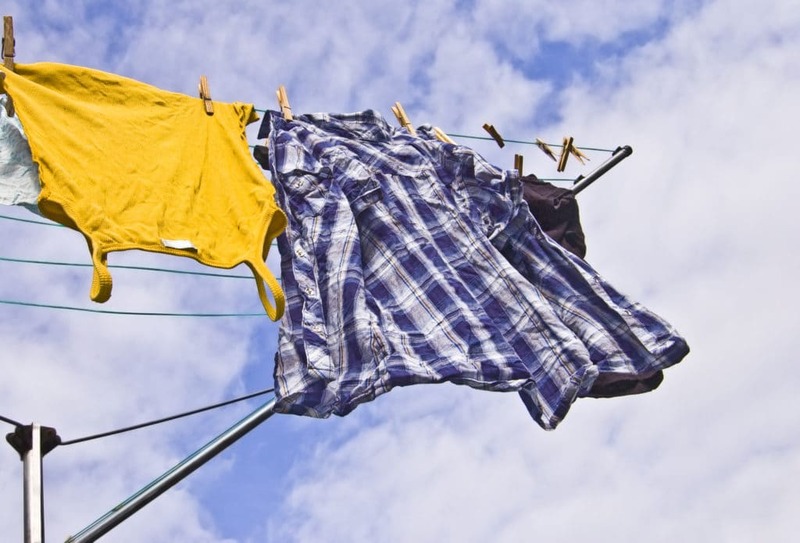 If you have a busy household, it goes without saying you will need a large rotary washing line to accommodate everyone’s clothes on a sunny day. This is where the Brabantia Lift-O-Matic Advance shines. Offering a very generous drying length of 60 metres, this rotary drier is perfect if you have a big family. The Brabantia Lift-O-Matic Advance has four arms and three line positions for ultimate flexibility, so you can hang all manner of items out to dry without having to worry about them dragging on the floor. The lines are kept taut by the umbrella system, which prevents wet, heavy clothing from pulling them down. It is also height adjustable at the press of a button, which means you can get the chore done in comfort. As it has such an extensive line length, this product can handle up to 40 kg of weight at any one time – so long as you arrange it evenly. 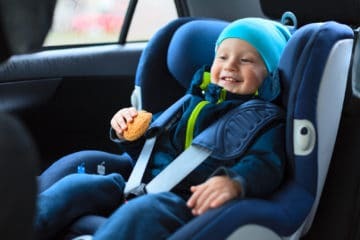 This means you can do multiple large family loads and hang them out all at once, without fear that the frame will buckle under the strain. As a nice touch, this model comes complete with a rain cover, clothes peg bag and a 50mm plastic concrete tube for installation. 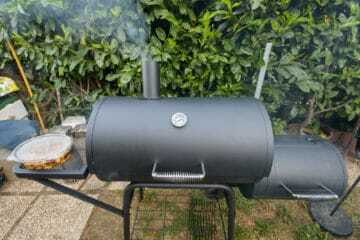 However, it should be noted that the plastic tube seems to be a little wide, so the pole wobbles about when installed. 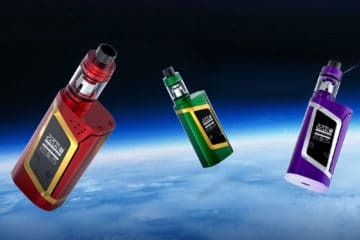 For those of you on a budget, LIVIVO Folding can be an economical choice. 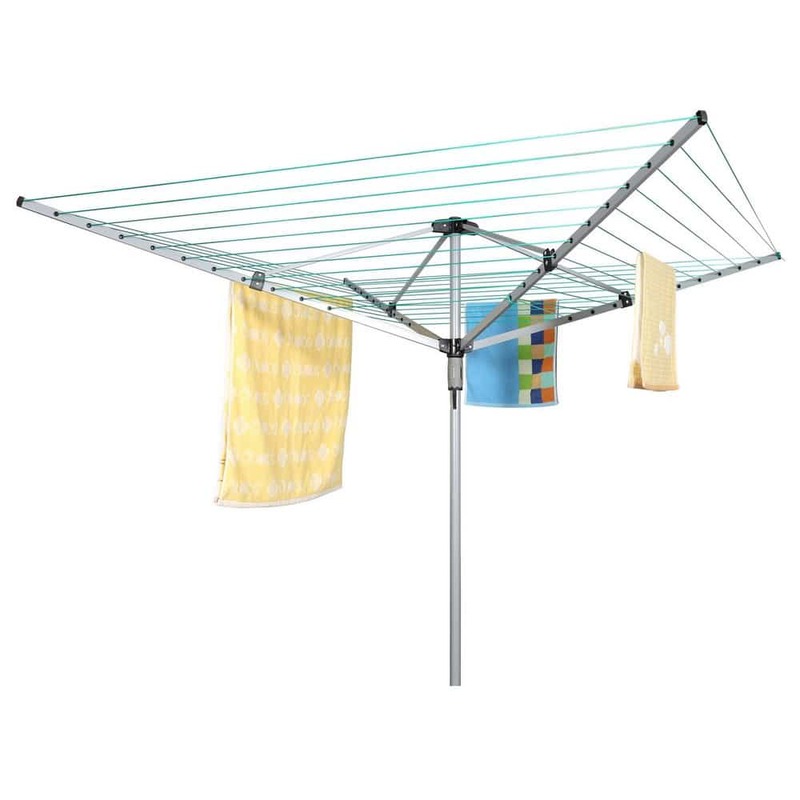 Even though it is at the lower end of the price scale, this four-arm spinning washing line still has much to offer and is a good choice if you have a smaller garden. You should find assembly is relatively easy thanks to the included ground spike. Once set up, this clothes dryer provides 45m of line, which is enough for your whole family – yet it only takes up 2.5m when it is completely opened. The open and close mechanism is easy to use, but there isn’t any height adjustability. This means longer items such as your bed sheets or bath towels may end up dragging on the ground. Some users also complained it isn’t very stable, so you may experience a bit of a wobble. The arms are powder coated to help protect against weather damage but a rain cover is also included as standard. However, should you want to take it down to make space in your garden; the compact, fold-down design makes it easy for you to store with little hassle. Not very tall. Washing may touch the floor. Quite unstable, so may wobble about. 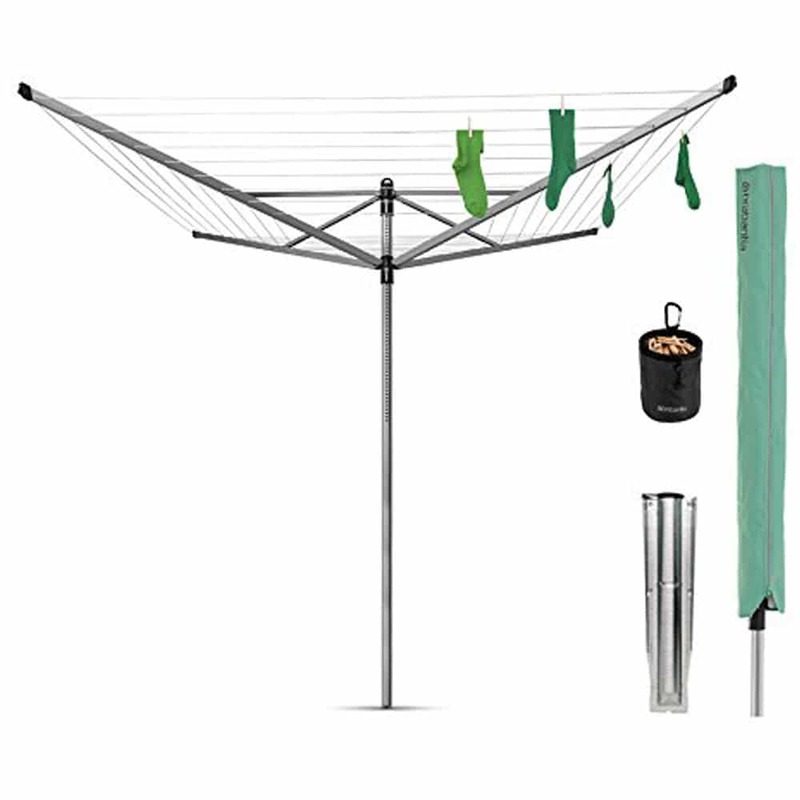 Offering 30 metres of non-slip, UV resistant line and a compact design, this rotary airer from Brabantia is a sound choice if you have a small outdoor area at home. The umbrella system is easy to open and close, and you should find it simple to keep the lines taut thanks to its two re-tensioning positions. A further benefit is that each line is individually threaded, so if one breaks it will be easy for you to replace it. The included coat hanger hooks are very convenient If you regularly wash fragile fabrics and clothing, such as wools and silks. These allow you to hang the items out to dry without having to worry about any unpleasant creasing or marks from clothes pegs. Weighing just over 3 kg when empty; this rotary drier is lightweight and easy to install. Nevertheless, this product does suffer from issues with durability. Many customers complained it didn’t last very long before bending or suffering from a snapped line. Also, even though an anchor spike is included, it seems it is a bit too wide for the pole – leading to an irritating wobble when installed. If you are looking for a simple and practical rotary drier for light use, the Addis 40m Rotary Airer could be the right choice. At 2.5m across when open, 4 arms and a total 40m of line, this rotary airer is more than enough for the average household. 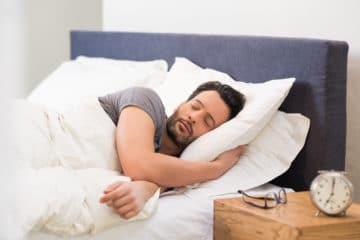 The line tension can also be adjusted depending upon the type of item you are hanging, so heavier items like wet duvets can be kept from dragging on the floor. That said, the design isn’t very strong or durable, so you may find the arms easily bend under too much weight. Also, the lines do not keep their tension well, so you will probably need to adjust them frequently to prevent sagging. 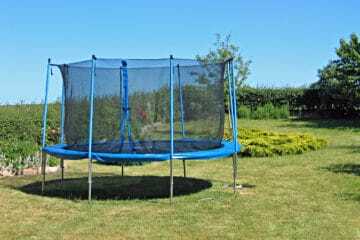 The frame is painted with weather and rust resistant materials but it doesn’t cope well in strong winds. Therefore, you shouldn’t expect much if you leave this rotary dryer out in a storm. A simple umbrella clip system is used to open and close this product, but some users said it was quite stiff. 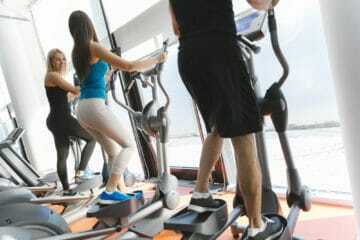 Therefore, it may not be a great choice if you suffer from arthritis or mobility issues. The Leifheit Linomatic is another good choice if you have a large household and seemingly endless amounts of washing to go through. 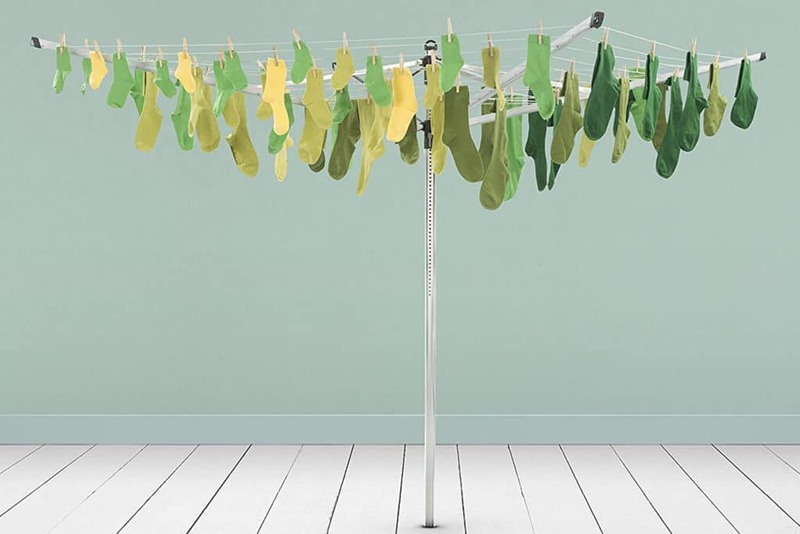 Offering strong lines and a generous 50 metres of drying space, this whirligig washing line can hold as many as 5 washing machine loads at once. The outer line is just over 2m long, which is wide enough for you to hang your bed sheets and duvet covers out to dry without any crumples. The line height is fully adjustable, so you should be able to comfortably reach whether you are short or tall. One of the biggest benefits of this spinning airer is its method of opening. 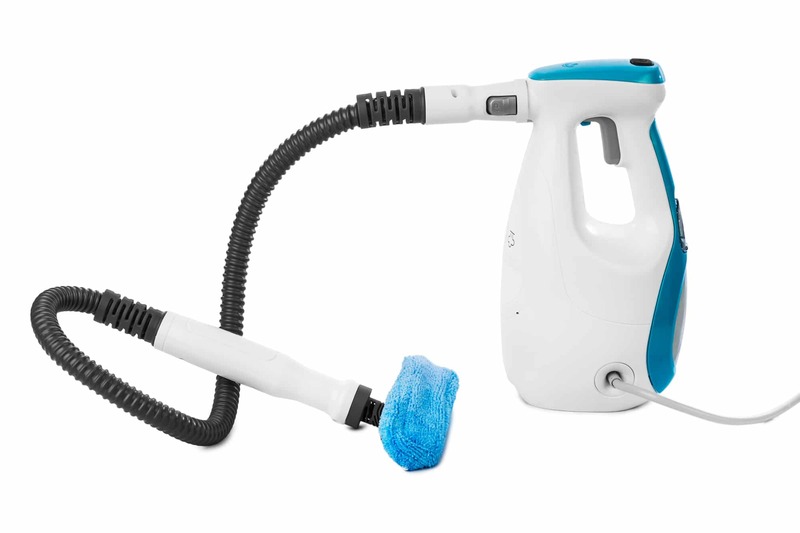 Unlike other rotary driers we have seen, this model opens and closes by pulling or pushing a handle on one of the arms – so you don’t have to duck under the lines or struggle to push it up with your hands. Furthermore, when closed, the lines are drawn inside the arms themselves, keeping them clean, dry and untangled. This means you don’t need to worry about getting any dirty marks on your clean washing when you peg it out. On the downside, the instructions are quite hard to follow, the lines often go slack in places and many people complained that the lines do not retract fully into the arms when closed. Very large. Suitable for busy households. Capable of accommodating bedsheets and duvet covers comfortably. Line height can be adjusted to suit the user. Opens and closes with a handle. No need to push up like an umbrella. Lines are kept clean by being stored inside the arms when not in use. 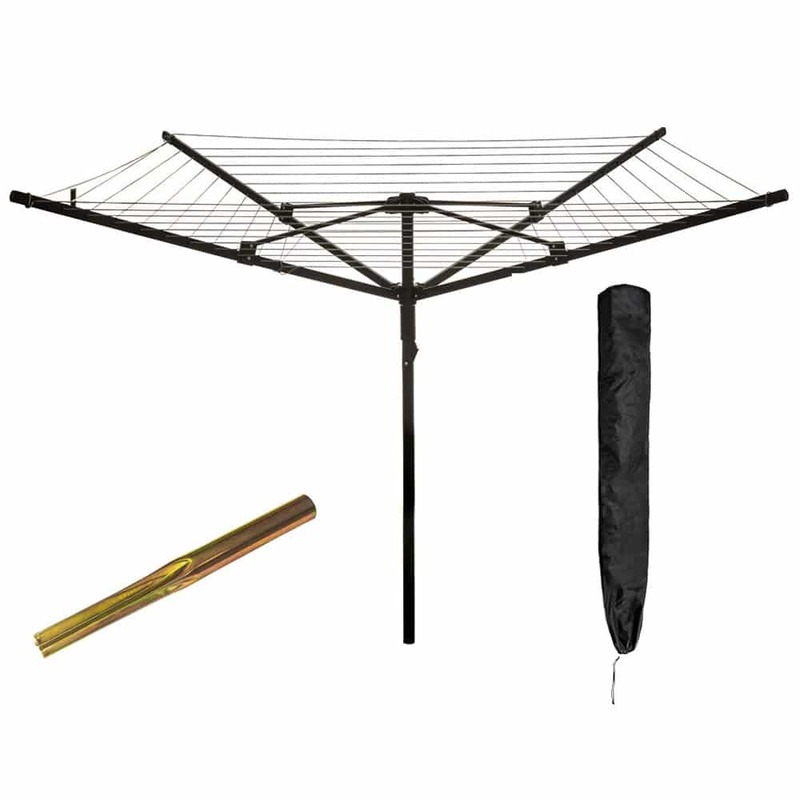 Last on our list we have the Homegear Outdoor Rotary Clothes Airer. This 4 arm clothes dryer has 50m of line and is enough for as many as 4 machine loads at once; so you can get the whole family’s washing done in one fell swoop. Made from powder coated steel, this product is able to withstand inclement weather without rusting. That said, you can also keep it protected by using the included weatherproof cover should you wish. Opening and closing the Homegear Outdoor is done by means of an umbrella clip system. 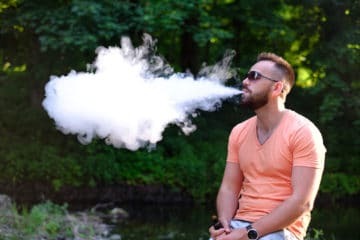 However, many users said that it was very difficult to open and required a significant amount of strength, so it may not be suitable for you if you suffer from arthritis or mobility issues. It also tends to get stuck in the open position, which can be troublesome if your area is very limited. Once open, it should be noted that there is no option for any height adjustment. In fact, many users felt it was too short, so you will probably struggle to hang longer items on it without them touching the ground. A metal ground socket is included as standard, so you won’t need to buy any additional parts before installing. Rotary washing lines may not be the most exciting piece you have at home, but they go a long way in making your daily chores easier. Tumble dryers are notoriously energy-hungry devices. Running a tumble dryer costs around £0.35p per hour; if you were to run it for just 5 hours a week, that adds up to almost £100 per year in energy bills. Using a rotary washing line to dry your washing on a bright day is a great way to save money on your household bills. Unless you have an extremely large garden, it is unlikely you will be able to stretch out 30-60 m of line to hang your washing on. Rotary clothes dryers allow you to make maximum use of the area that you have, due to the way the line is threaded around a central pole. 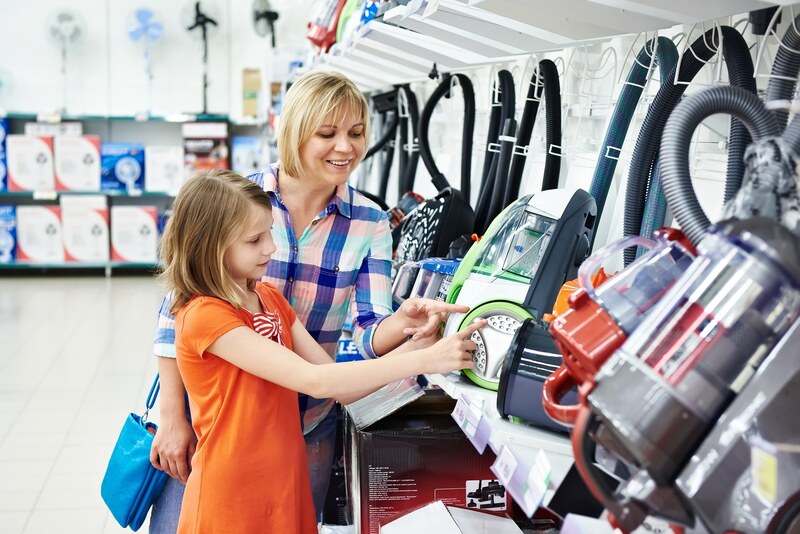 Therefore, rotary clothes airers allow you to peg large amounts of washing out at once, with some models being able to accommodate as many as 5 washing machine loads at a time. 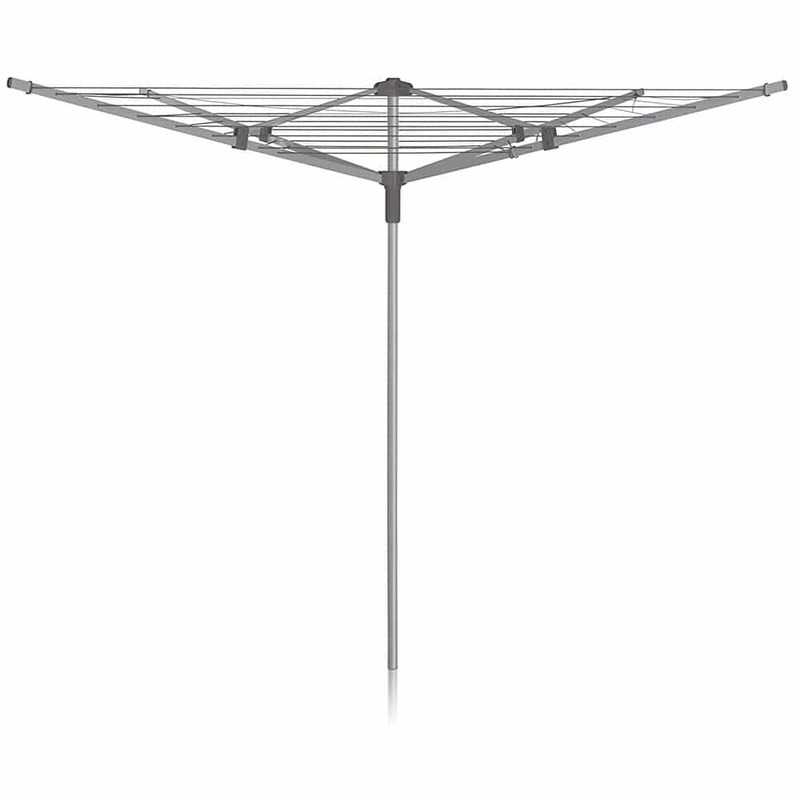 Rotary airers allow you to dry your clothes much faster than if you were to hang your washing up indoors. The crisp outdoor breeze blowing through your clothes evaporates moisture at a quicker rate, leaving them feeling fresh and odour-free. Drying your clothes under the sun is also a way to mildly bleach clothes without harmful chemicals. Hanging wet clothes inside the house can cause a build-up of moisture in your property, resulting in a potential 30% increase in damp and mould over time. 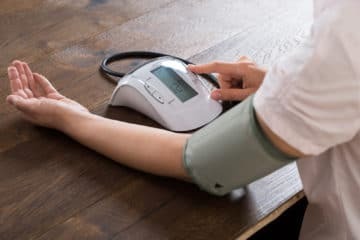 This increase in damp may even lead you to buy a dehumidifier because if left uncontrolled, damp and mould can cause serious damage to both your home and your health, especially if you suffer from asthma or other respiratory issues. 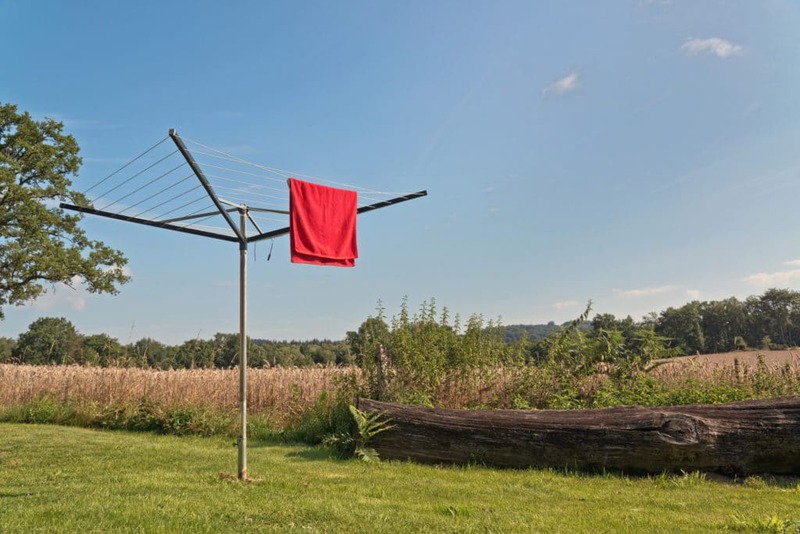 Using an outdoor spinning washing line is a much better way to air your clothes without posing any risk to you or your property. Washing is a key part of day-to-day life, so it is important that you choose the best rotary washing line for your needs. The line length you should look for entirely depends on how much washing you do on a regular basis. If you live alone or as part of a couple, you are unlikely to have a large washing load comparable with that of a busy family. Most rotary airers will offer a line length of between 30 and 60 metres. If you have a household which comprises of four people or more, we would recommend going for a line length of at least 45 metres. If you have a bigger family, you would be better off going for large rotary airers which can accommodate more than 4 loads of washing at once. 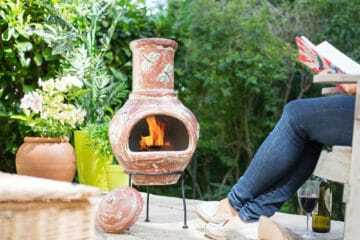 If you have a small garden, you should check the diameter and turning circle of a particular product before purchasing. You need to consider whether you’ll have enough space to comfortably move around it when hanging washing, as well as enough room for it to rotate without snagging your clothes on nearby plants or objects. Most rotary dryers will be easy to use, at least in theory. Many models come complete with ground spikes for convenient installation and can be folded down for easy storage during the winter months. That said, some models can be tough to open and close single-handedly, as well as being prone to the lines getting tangled. This is less than appealing when you have a busy day ahead and an armful of wet washing. To avoid frustration, be sure to do your research before making a decision. Having the ability to change the height of your rotary airer will make it much easier and more comfortable for you to use. Some models allow you to adjust the working height by as much as 2 feet, which will come in handy when you have heavy items such as damp duvets that need to be hung out. Being able to raise the line higher is also useful to prevent longer items like bedsheets from dragging on the ground. 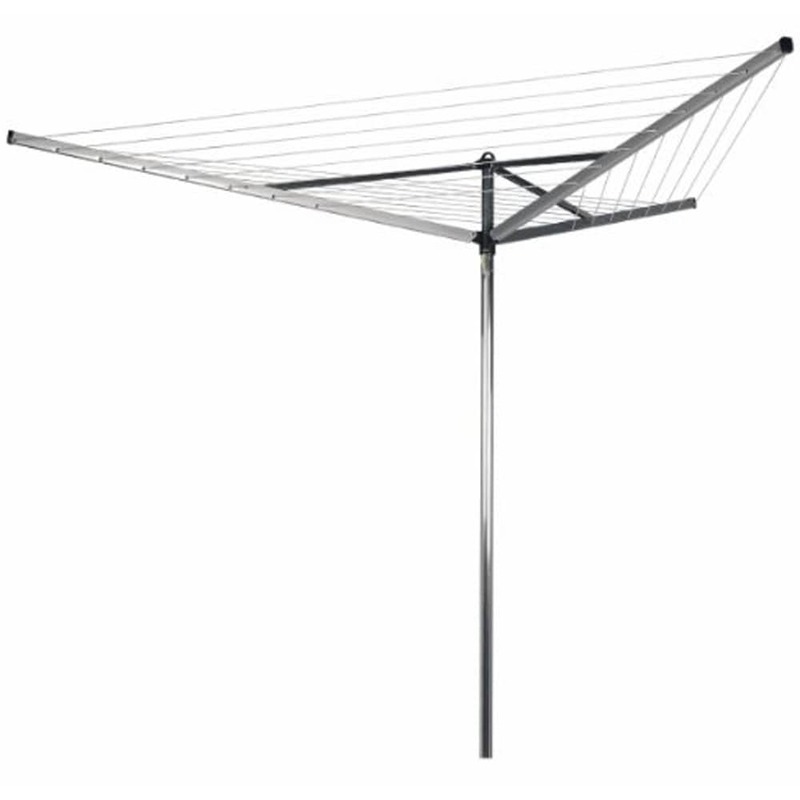 A rotary washing line with a crank handle may be easier to adjust than umbrella style airers – especially if you have any weakness of the arms or hands. After reading our rotary washing line reviews, we are sure you’ll agree that any one of these models would be great options. However, our overall winner has to be the Brabantia Lift-O-Matic Rotary Airer Washing Line. We love how this 50m rotary airer is capable of supporting an incredible 4 loads of washing at once, as well as being fully height adjustable for your comfort. The UV resistant lines also stay taut no matter how heavy the load, so you won’t need to worry about your favourite sheets dragging on the floor. We were also very impressed by how effortless the Brabantia Lift-O-Matic Rotary Airer Washing Line is to pack away in bad weather. The lightweight umbrella is simple to fold up and can be easily protected by the included weatherproof cover until you are ready to use it again. Furthermore, if you want to store it entirely, all you need to do is lift it out of the ground and use the attached loop to save space by hanging it up on the wall. 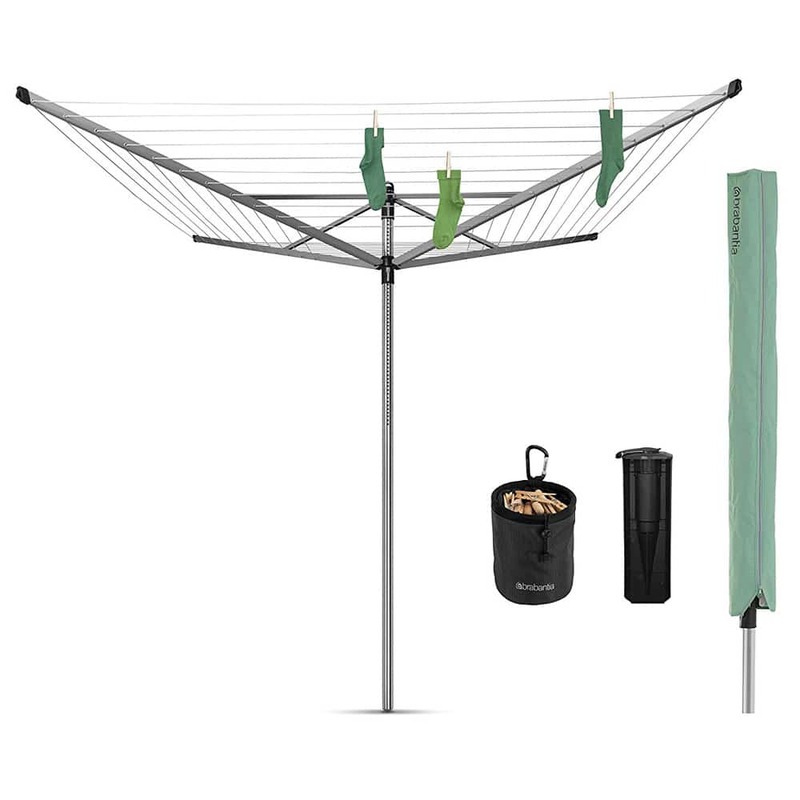 In short, if you are looking for the best rotary washing line on the market today; we think you need to look no further than the Brabantia Lift-O-Matic Rotary Airer Washing Line.